OfficialDjFreire: ASOT 650 World Tour: the announced dates & cities! ASOT 650 World Tour: the announced dates & cities! The word is out, the cities are revealed and the dates are set. The small yet staggering event was a great success. Armin van Buuren has once again proven that making a live radio show is something very extraordinary! Especially with ASOT fans from all across the globe, gathering at the Beatrixgebouw in Utrecht, dancing between objects and stories of historical space journeys. The ‘A Human Adventure’ exhibition provided the ultimate ASOT feeling for the new theme ‘New Horizons’. You could say the Space Cadets deserve a spot amongst the other space trophies, for bringing the ASOT events to earth yet again. After the cities and dates were revealed, presented in the typical ASOT radio show style by Armin himself, there was an exclusive set by Armin for the privileged people present. Everyone congregated in front of the DJ booth and the exhibition received a special Armin ASOT treatment, giving the small but passionate crowd a glimpse of what’s to come for the ‘New Horizons’ world tour. Utrecht tickets available from the 5th of October noon, at www.astateoftrance.com. The other cities will go on sale soon, so keep yourself updated through Facebook (www.facebook.com/astateoftranceofficial), Twitter (twitter.com/asot) or check out www.astateoftrance.com. The votes have been counted and the public has spoken. Representing the world tour that unites millions, awakening a movement of passionate music lovers, is Jorn van Deynhoven’s mind-blowing tune of ‘New Horizons’! 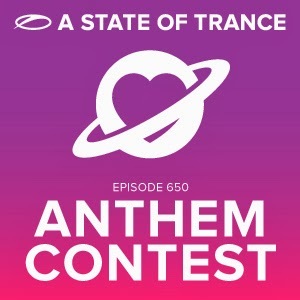 The official anthem of the A State of Trance 650 – New Horizons world tour has been announced! First of all we’d like to thank all producers for sending in their works of magic! Alexander Popov, Andrew Rayel, Jorn van Deynhoven, MaRLo and wildcard winners Allen Envy & James Williams, each tune was incredible! Next to thank, are all the people who voted! Where would we be without our true ASOT lovers? But…there can be only one winner, and that honour goes to Jorn van Deynhoven. Please give a very warm welcome to the official A State of Trance 650 – New Horizons.